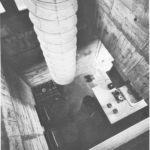 The Tower House by japanese architect Takamitsu Azuma was built in 1966 in a very small plot of land. 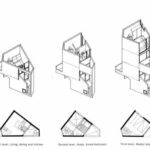 The house grows around the stairs six levels up to provide 65 square meters of living space. 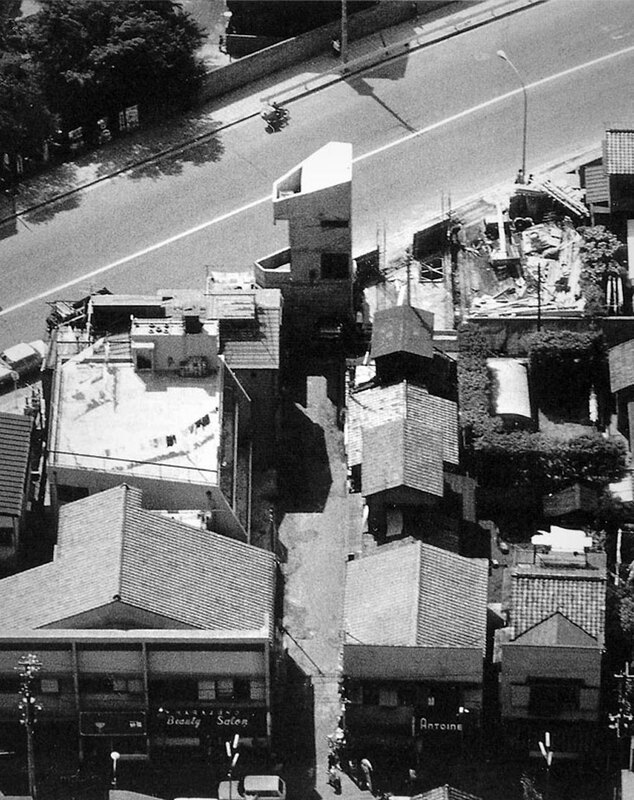 The building has become a fascinating portrait of how Japan society has dealt with the urban and social changes in the last few decades. 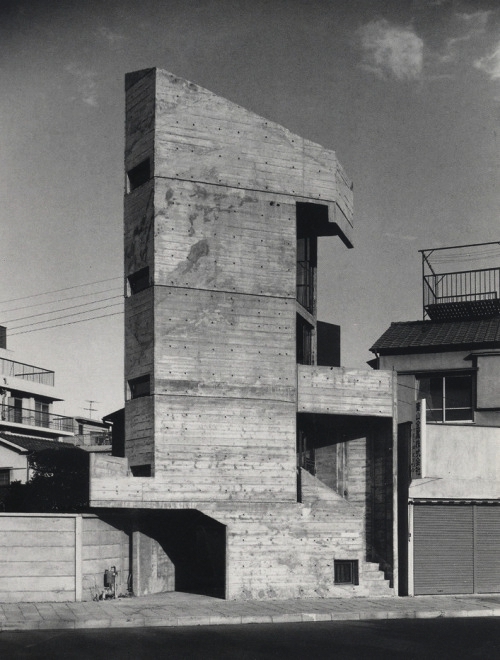 Tower House is a house in Tokyo, built by Takamitsu Azuma in 1966. 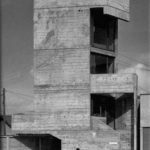 The Tower House was erected on a 20-square-meter plot of land and from the moment of its creation it was regarded as a symbol of living in a modern metropolis´ center. 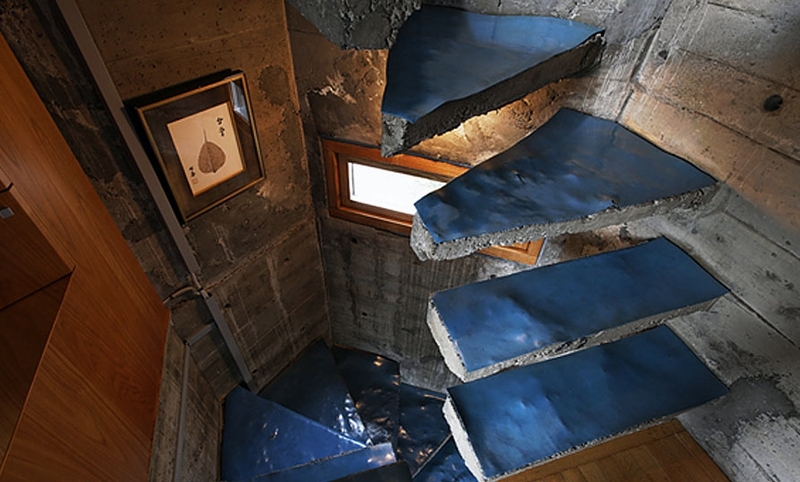 When Takamitsu Azuma moved from Osaka to Tokyo in 1966 he built a house for his family. 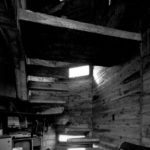 Designed as a continual vertical room for the architect´s own family, the staircase appears as the most significant structure in the house´s interior. 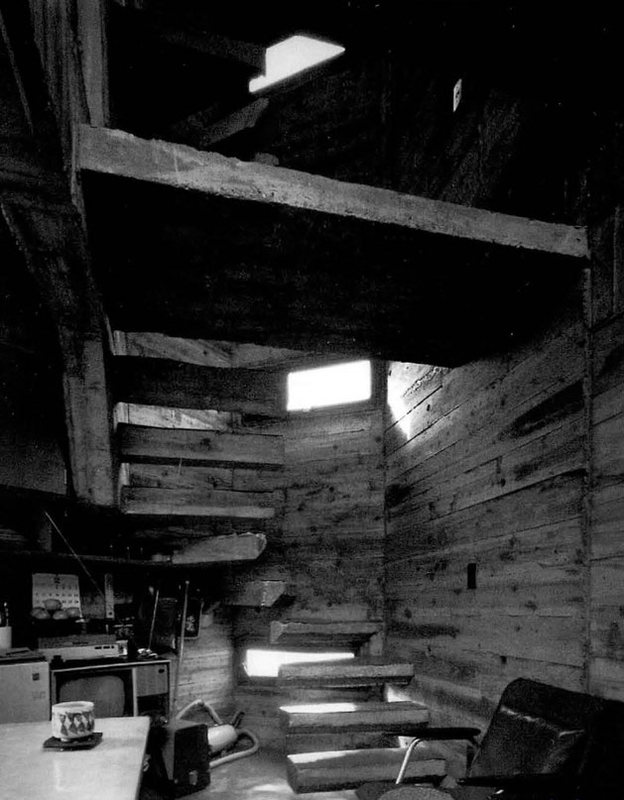 It connects the individual rooms, which are “piled” one on top of the other without any doors separating them. 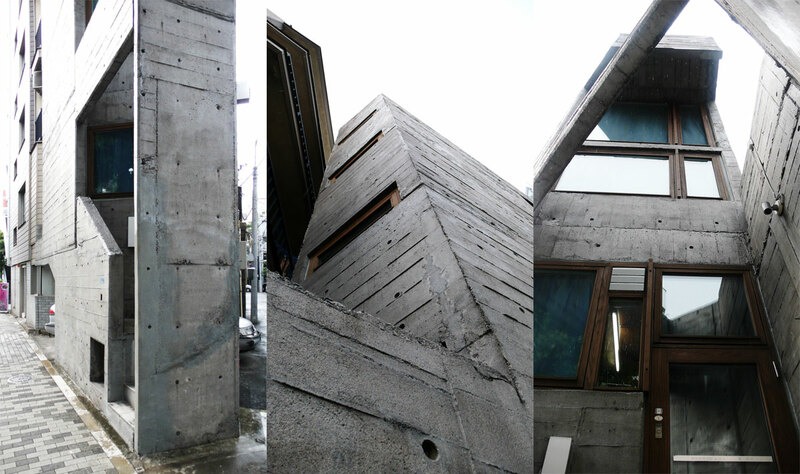 The triangular plot is positioned directly on Aoyama’s “Killer Street”, in front of Mario Botta’s Watari-um (The Watari Museum of Contemporary Art, 1990). 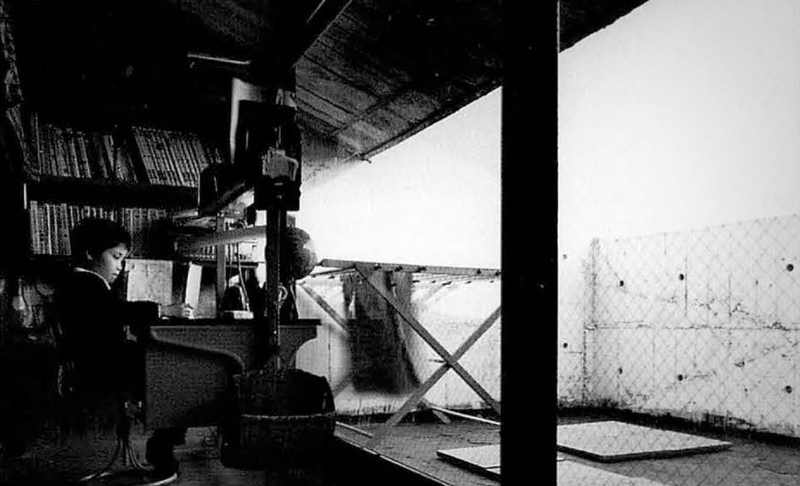 A small public passage is used as well as parking. 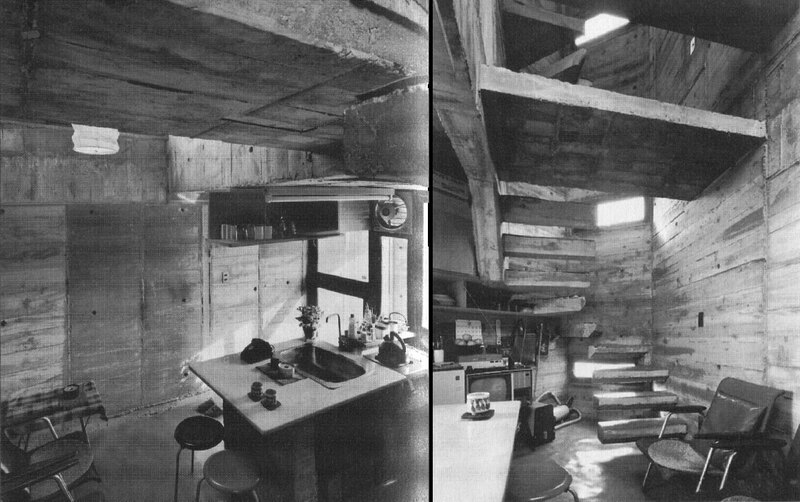 The daughter of the architect,Rie Azuma, is now living in the house. 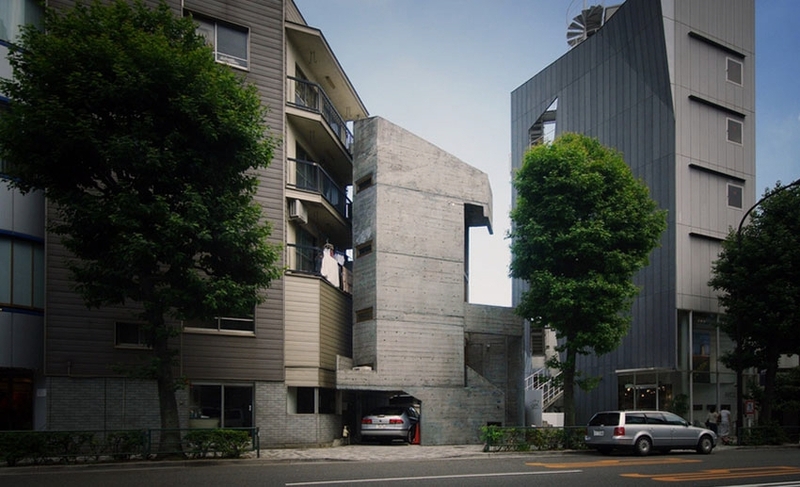 The building is best visible in winter, during the other seasons a tree is nearly fully shading it from the street front. 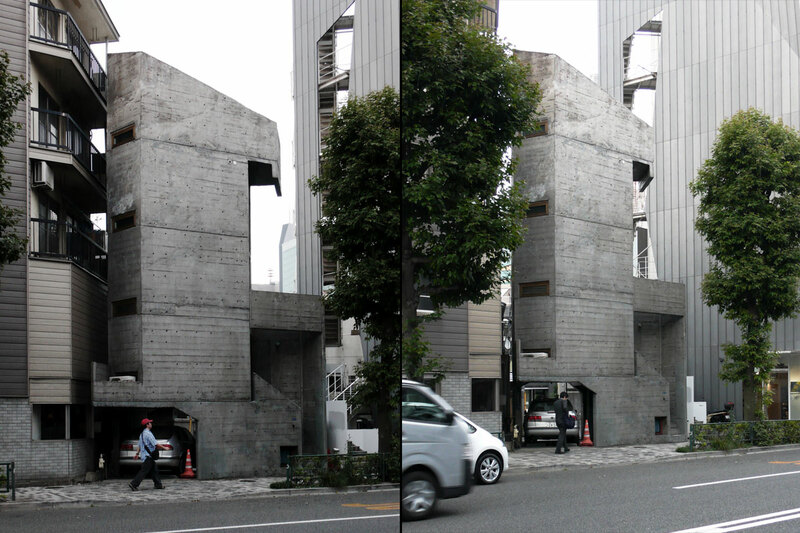 Once completed, the raw-concrete tower could have been considered the “skyscraper” of Jingumae, overtopping by far the adjacent buildings. 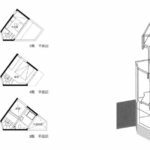 Nowadays the house has been relativized by its neighbours, and we may make the mistake to associate it with the numerous “miniature house” which are that popularly featured on ArchEyes. 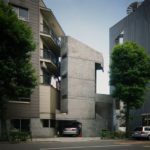 The Tower House is a fascinating portrait of how Japan society has dealt with the urban and social changes in the last few decades. 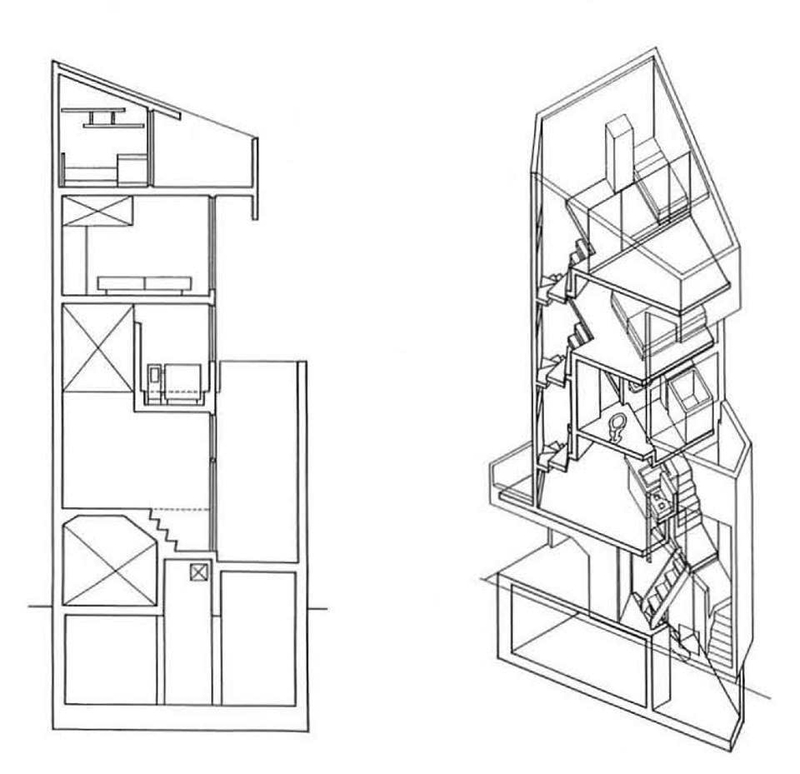 “When completed it was the “skyscraper” of Jingumae, nowadays it is a miniature house”. 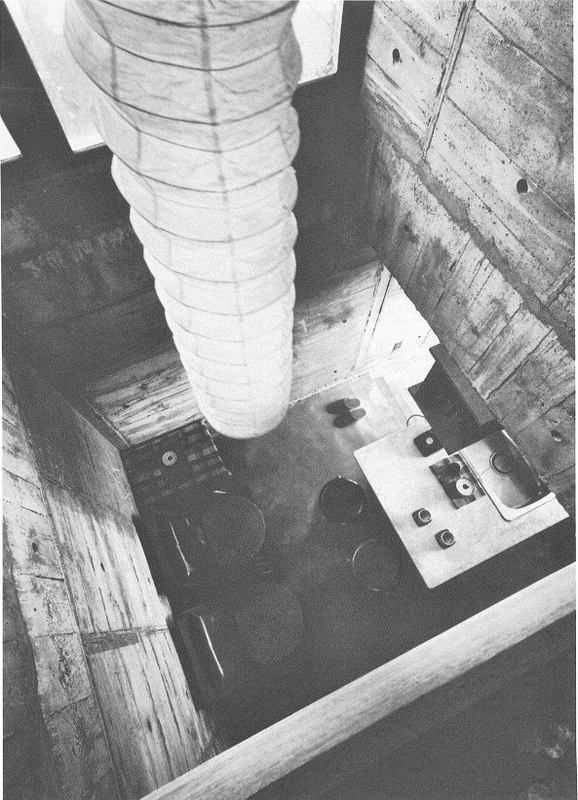 Japanese architect, who worked in Junzo Sakakura’s office before becoming a founder-member of ArchiteXt in 1971. 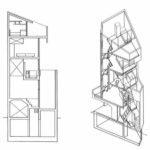 He evolved a concept of ‘oppositional harmonies’ in architecture by deliberately placing disparate elements together and even emphasizing them in order to create tension. 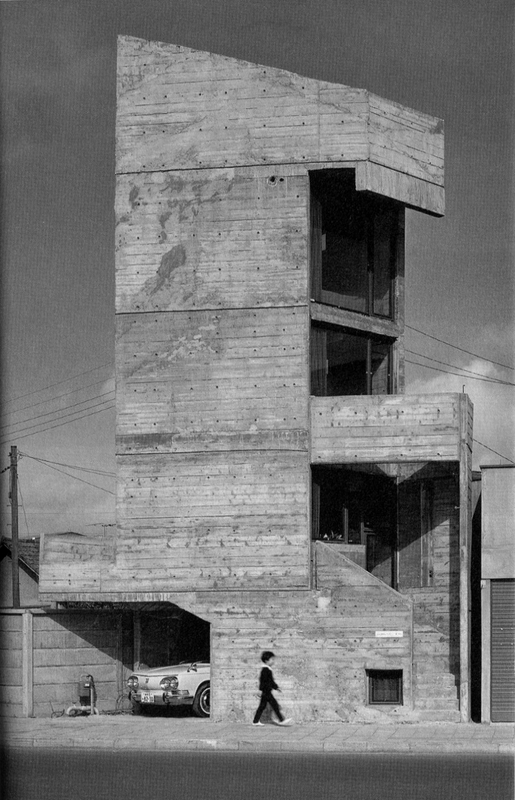 His own house, just featured, is a tall concrete tower set among traditionally built single-storey houses. 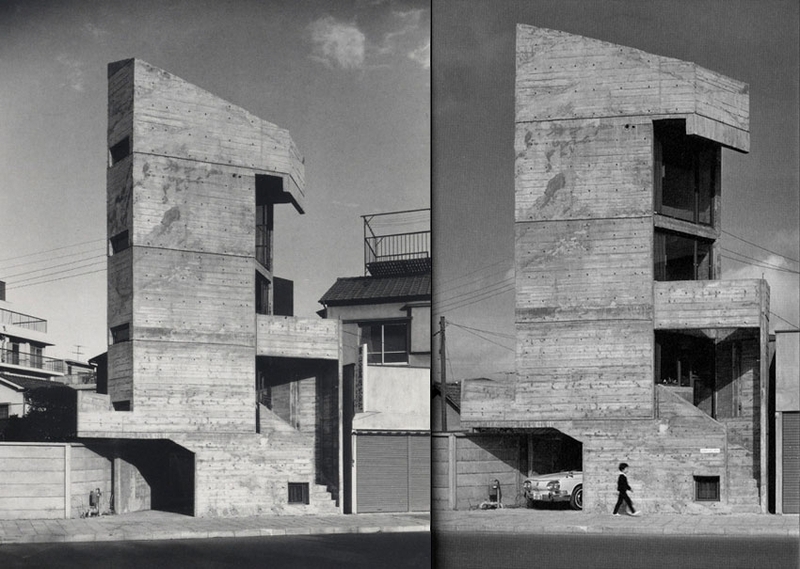 Other works include the Satsuki Kindergarten in Osaka (1969–73), many individual private houses, and the K Flat housing, Mejiro, Tokyo (with Rie Azuma, his daughter). 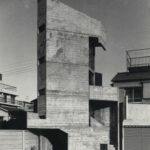 Cite this article: "Tower House / Takamitsu Azuma," in ArchEyes, January 24, 2016, http://archeyes.com/tower-house-takamitsu-azuma/.